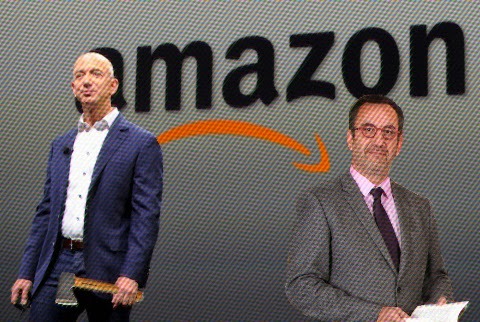 Will Amazon bury the hatchet? 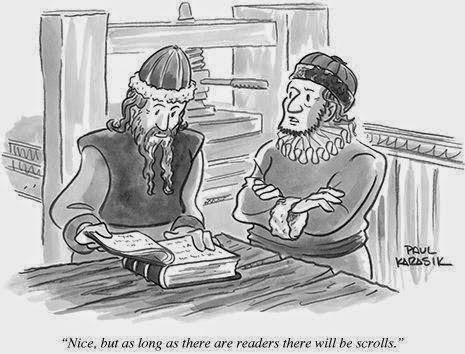 Until recently there was a war about e-book prices going on between Amazon and Hachette. Authors were stuck in the middle and those published by Hachette were losing sales and income. Indie authors stood to benefit if Hachette won though. Moreover, e-books are highly price elastic. This means that when the price goes down, customers buy much more. We've quantified the price elasticity of e-books from repeated measurements across many titles. For every copy an e-book would sell at $14.99, it would sell 1.74 copies if priced at $9.99. So, for example, if customers would buy 100,000 copies of a particular e-book at $14.99, then customers would buy 174,000 copies of that same e-book at $9.99. Total revenue at $14.99 would be $1,499,000. Total revenue at $9.99 is $1,738,000. The important thing to note here is that the lower price is good for all parties involved: the customer is paying 33% less and the author is getting a royalty check 16% larger and being read by an audience that’s 74% larger. The pie is simply bigger. It’s rare for Amazon to give authors useful information like this. What they are saying is that if you reduce the price by 2/3rds you’ll get a 75% increase in sales. It’s not just Amazon who say this, Mark Coker of Smashwords has given facts and figures which say similar things. So who was being unreasonable? Hachette obviously agree with Amazon that reducing prices leads to more sales and higher earnings. If they didn’t, then their prices would have a higher average. But, they wanted the right to charge more for new ebooks from their top authors. This allows them to charge more for their paper books which would otherwise lose sales to e-books. They are obviously protecting their printing business. Amazon liken this to the introduction of the paperback book which in its day had its vitriolic opponents but which turned out to increase publisher’s profits. Amazon say there is no justification for high e-book prices nor is there justification for the royalty share from e-books given to authors. Both sides are right. Both sides make valid arguments and neither is being unreasonable from their point of view. That isn’t the same point of view for the reader or author though. So where did this leave authors? If you currently publish independently through Amazon their ebook price policy makes a big difference to the royalty you receive. Here’s what that means in terms of real money in your pocket. I’ll assume an 80,000 word novel with a delivery charge of $0.10. As you can see, once the price is $10.00 or more you’ll actually earn less money per book sold until your book has a price of $20 or more. This chart doesn’t take into account total book sales however. If you include that you get a different picture. Fortunately Amazon have started offering a ‘KDP Pricing Support (Beta)’ service which attempts to predict authors optimum price. To get this prediction for your book at Amazon navigate to your dashboard at KDP. Click the ‘Bookshelf’ link at the top. Find the book you want the prediction for and at the right choose ‘Edit Rights, Royalty and Pricing.’ Click the button ‘View Service’ in section 8. Here’s what Amazon predict will be the effect on author earnings of changing the price of an e-book selling 40 copies per month at $3.39. It seems Amazon suggest authors should increase their prices here. This time they suggest a price reduction. Whether this new beta service will work remains to be seen. There are a lot of variables involved. In the case of the two books above for example, they are both part of a series. If sales of the first book drop there will be a corresponding drop in the sales of the second book. Perhaps a slight price rise to $3.99 would be justified but $7.99? If this was the first or second book in a series it would be likely to kill the rest of the series. Reducing the price of the other book is well worth considering though. The great thing about being an independent author is that you are free to change prices to find the best level as often as you wish. What about authors publishing through one of the big five publishers? All bets are off here. Amazon appear to negotiate different royalty rates with the big five. That 70% rate may hold for e-books retailing at more than $9.99 Neither Amazon nor the big five are telling but what we do know is that authors are getting as little as 25% of e-book sales as a royalty. Amazon suggests this is too low a rate. What if Amazon wins the dispute? For readers, the price will come down. Authors established with the big five publishers will see their earnings go up. Independent authors will see increased competition and a consequent drop in their earnings. What if Hachette wins the dispute? Prices will remain much the same. The best possible outcome would be for Amazon to extend their 70% royalty rate to cover books costing between $2.99 and $14.99. That might lead to a gradual price rise which would benefit authors as a whole. In the meantime high prices for e-books from the big five publishers mean independent authors can undercut established authors to get their foot on the first rung of the success ladder. So what should Indie authors do? Amazon suggested we all write to Hachette supporting Amazon. Do they honestly think that Hatchette will take notice of authors who are not using their services? If Hatchette were to do the same, would indie authors increase their prices and demand Amazon pay a 70% royalty on books $9.99 to $14.99? My personal opinion is the best thing we can do is stay out of this one. What’s your view? According to carefully worded statements this week by Amazon and Hachette – neither of which boasted of victory – Hachette will retain Agency pricing control yet conceded to certain unnamed Amazon demands that will incentivize lower pricing from Hachette. It seems that Hachette got most of what they want which is good news for indie authors. Sadly that doesn’t mean Amazon will extend their 70% royalty rate. That’s good news for readers though. Even if you never read it (we hope you will) – it will help our rankings. ← Why are so many authors making things difficult for themselves?